The Salvation Army established a corps in Columbia, SC in 1906 and has been serving people living in extreme poverty in the greater Columbia area for more than 100 years. For example, they work daily with those who are homeless and offer several homeless prevention initiatives. For two years now, Hope Aviation Insurance has volunteered time to help put together Christmas stockings for families in need. This year, we were saddened to learn donations were down while demand was up. Click here to learn how you can help. From serving daily meals to providing Christmas toys to families in need, The Salvation Army reaches out to those in our community who need assistance. 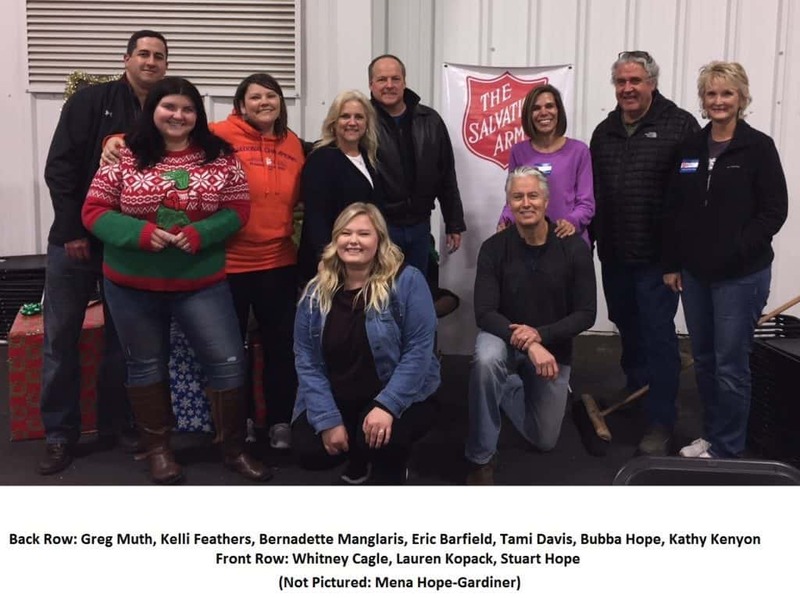 As the Salvation Army lives up to its motto of “Doing The Most Good,” it’s an honor to volunteer our time with them in lieu of a traditional holiday office party.